Ave Maria! 'tis the hour of prayer! Ave Maria! 'tis the hour of love! Casts off its bright skin yearly, like a snake. Parting day Dies like the dolphin, whom each pang imbues With a new colour as it gasps away, The last still loveliest, till-'t is gone, and all is gray. 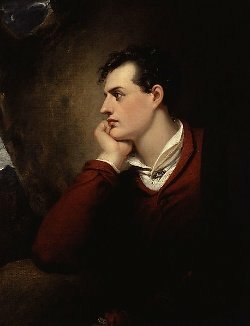 Bio: George Gordon Byron, 6th Baron Byron, commonly known simply as Lord Byron, was an English poet and a leading figure in the Romantic movement.